CAMPOGALLIANO (ITALY) - An outstanding celebration has gathered a worldwide presence of almost 250 customers who has proudly taken part to the grand opening of the new industrial plant, synonym of a growing future. Emiliana Serbatoi celebrated 35 years of activity, an important milestone that crowns a journey of hard work, intuitions and innovations, commercial proposals and brand-awareness, business trips and trade shows; an event destined to remain in the history of this entrepreneurial reality deeply rooted in the territory and launched on the markets of the entire planet. 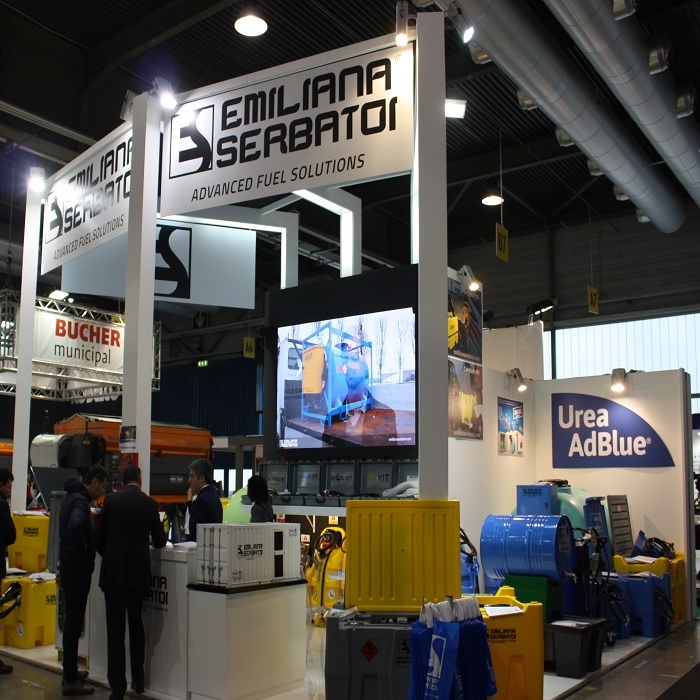 Today, Emiliana Serbatoi is an international leading manufacturer of tanks and advanced fuel solutions for the safe storage, transport, management and supply of fuels and liquids in general. Long time has passed since the 17th of June 1983, when Giancarlo Morselli and his son Gian Lauro settled in Sant’Anna street, Modena a small production plant. Thanks to a winning combination of technical expertise and forward-looking business choices, steady growth has matured over the years, starting from a first essential input: tanks and solutions designed and developed in total compliance with ministerial norms. Later on, business development has led to a crucial moment in 2001, when the company has moved to the new and wider Campogalliano headquarters, in Largo Maestri del Lavoro, a few steps from the entrance of Brennero highway which is a real "door" towards Europe. Once again, it has been another farsighted choice and even today these buildings represent the "heart" of the company, the place where the successful and strategic decisions are taken every day. 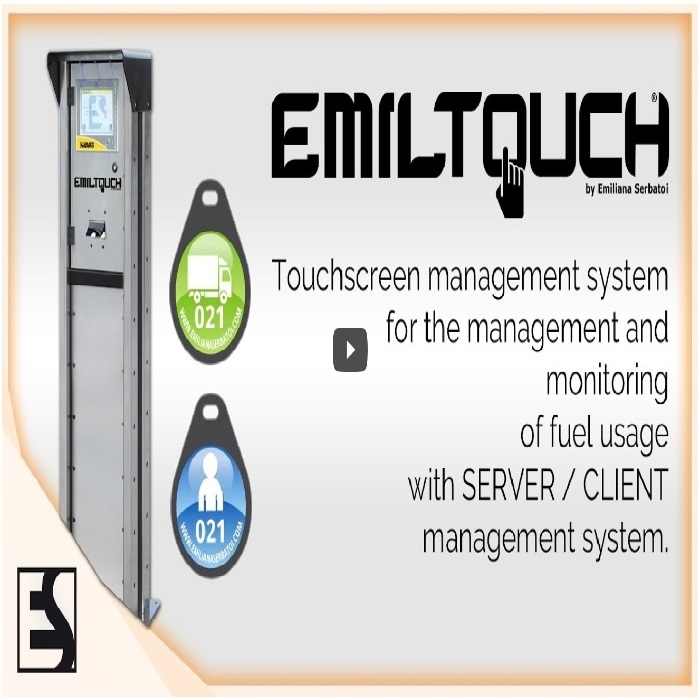 high-tech solutions for fleet and levels management have been launched successfully in the market. Moreover, thanks to a constant investment in quality control and management, Emiliana Serbatoi now meets the highest quality standards: in fact, the company boasts several certifications, namely the Uni En Iso 9001: 2008, approvals issued by Italian Ministries in their respective field of competence and approvals emitted by internationally accredited institutions like Tuv, Bureau Veritas and Crif rating agency Cribis D & B. Finally, Emiliana Serbatoi is present in the "White list" of the Prefecture of Modena and proudly sells ADR products with UN mark every day and worldwide. Today the company, firmly guided by Gian Lauro Morselli, counts on the skillful work of about ninety employees and has achieved a turnover of over 25 million euros, equally divided between local and foreign market. Nevertheless, the opening of the brand new 4-thousand-meter warehouse at the side of the company’s headquarters is not only an amazing way to celebrate the 35th anniversary but also a stimulating path to face future challenges and markets’ globalization. In front of a nourished presence of clients from every corner of the world, the event organized for the anniversary has also welcomed the participation of several authorities, represented by the governor of Emilia-Romagna’s region, Stefano Bonaccini, who highlighted the fact that Emiliana Serbatoi is «a model of our industrial district that knows how to evolve, overcoming international challenges». Located in the elegant location of Villa Cesi in Nonantola, the event was opened by the honors of the president, Mr. Gian Lauro Morselli: «We have really traveled a long way; my father Giancarlo and I - he said – kicked off the business 35 years ago with a small workshop in Sant’Anna street, thanks also to the precious support of my mother Laura in the first years. If I look back, everything seems impossible. Today Emiliana Serbatoi is an international reality, we export our products to all continents, we have two production sites, in Campogalliano and San Donà di Piave, and just in these days another manufacturing plant has been set up here. Every day» he added on his speech «we are proudly standard bearer of "Made in Italy", a winning mixture of creativity and quality that, combined with our professionalism, enthusiasm and passion, we daily export to the entire planet». Hard work, a worldwide sales network, technological avant-garde and a proactive customer care represent the backbone of a company able to establish an international presence but still deeply rooted within the territory. An identity anchored to strong values ​​shared with all the partners. next: Emiliana Serbatoi approaching Eima: here is the video!